Sheila is a 76 year old woman who has has heart failure due to left ventricular systolic dysfunction (see Heart Failure module for more information). 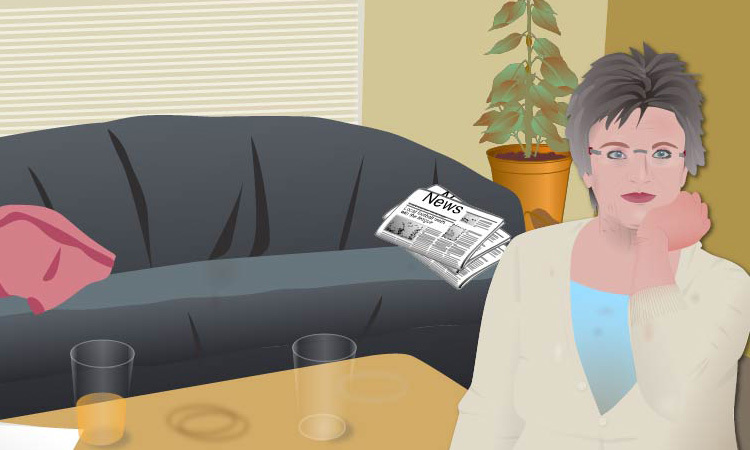 Sheila was admitted to hospital 2 months ago with increased breathlessness and reduced exercise tolerance but was discharged home, following a medication review. She is normally independent in her Activities of Daily Living (see Pulse Point below) but is beginning to find things a bit difficult. Because of her breathlessness, she cannot shop as easily as she previously could and she struggles to climb the 3 flights of stairs to her flat. She lives with her husband, who has some health concerns, and she normally helps look after him by preparing his meals and helping him with bathing. The couple have a daughter but, as she works and has her own family, she only visits at weekends. Sheila's daughter has started ordering food shopping online for her parents. Sheila belongs to a local choir but no longer feels able to attend her weekly choir practice, as she is too tired. She misses meeting her friends for coffee and a chat following their choir sessions. Sheila has missed a couple of appointments with her GP. At her last review she looked a little unkempt and mentioned that she sometimes forgets her medications. One of the most commonly used nursing models in the UK is the Roper, Logan and Tierney model of nursing, which is used to assess a person's level of independence in the Activities of Daily Living. The activities assessed are maintaining a safe environment; communicating; breathing; eating and drinking; eliminating; washing and dressing; controlling temperature; mobilising; working and playing; sleeping.